In retrospect, I wish I would have worn a belt with this outfit, it looks a tad sloppy. Also, next time these pants are on the blog (I am SHOCKED they haven't been on here more), I'll be sure and get a close up of the fantastic festive brocade fabric. With things as crazy as they are right now (for everyone!) I need a couple fail-proof pieces that will pull a look together- fast. 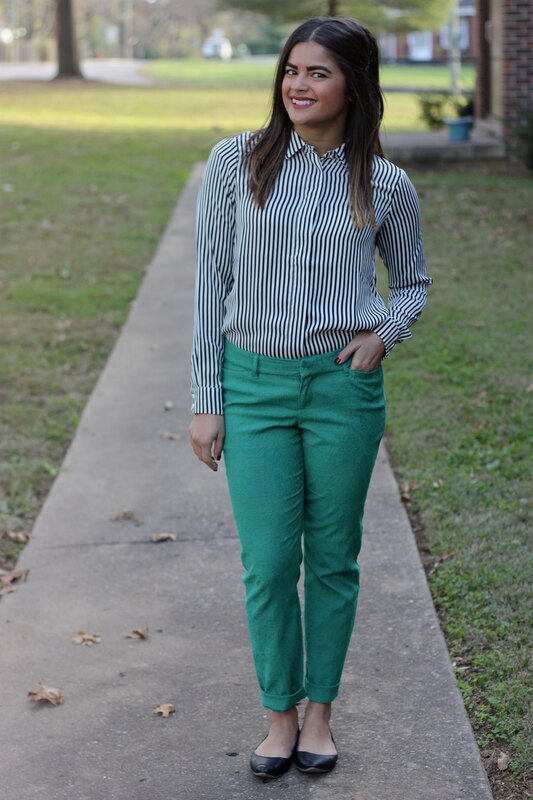 If you're hustling to get dressed this week, in the middle of finishing up your Christmas shopping and not turning into a grinch; may I suggest some colored pants and a silky blouse? Bonus points if they are festive. I've given myself a mini-challenge to help myself shop my closet and get dressed this week: holiday-inspo outfits all week long! I kicked it off today, peep this 'fit that I shared on Twitter. Top photo: our office holiday party on Thursday night (I was on the committee!) Oh what fun, I'm kinda bummed it's already over. We went with a plaid/red/green/gold motif, and our venue was The Bell Tower. It is consistently one of the best nights of the year, and I'll share some more pics soon. Bottom: Hunter & I hosted a holiday/house-warming party at his newish house on Saturday night! Here's the mantle, which I championed, and was so pleased with! 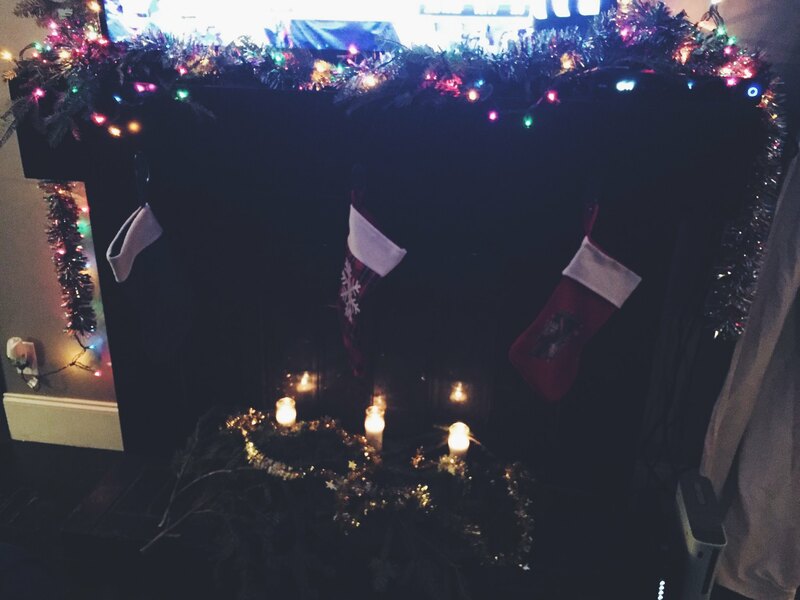 I'm not super artsy crafty (like, at all) but I got several compliments on the decor, SO it was a big night for me. And a wonderful time to see all most of our friends in town on one night. I hope y'all are managing to stay chill this week! Just like you (I'm sure) I've got a list a mile long of things to get done before Christmas, and especially before I leave for Finland next week. All while trying to maintain my one-word motto of joy this month! Good thing I love a challenge! 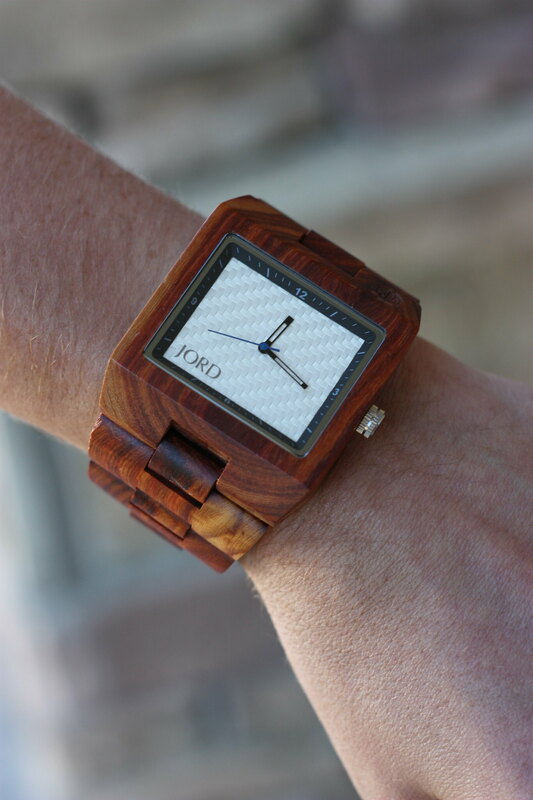 This Summer, JORD reached out to me about reviewing a wood watch (read the full review here!) Since I received & reviewed it, it has rarely left my wrist. I wear it pretty much every day, because it is lightweight, simple, and goes with everything! 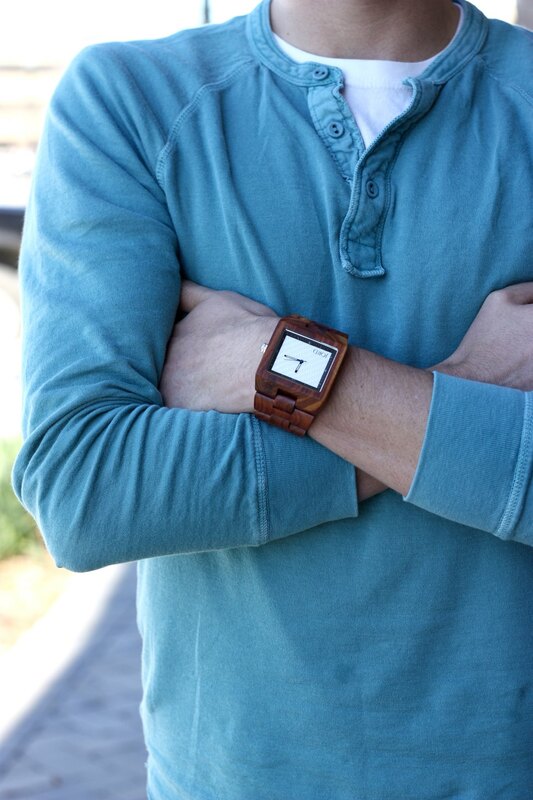 Recently JORD inquired again, this time to see if I had a guy in mind that might like a wood watch this holiday season. I thought, "I know a guy ;)." My boyfriend Hunter has been absolutely loving his JORD watch. I only asked him to wear it, and let me take some photos, but HE insisted on writing down some "quick thoughts", and here we are. I'll let him take it away- since you read my writing all the time :). At times, being the boyfriend of a fashion blogger has its perks! My lovely girlfriend, Priya, recently received a beautiful watch from JORD Wood Watches for her to feature on her blog. 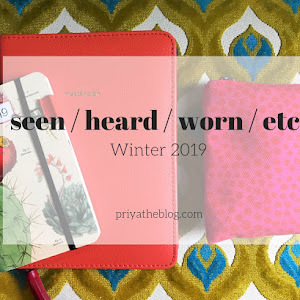 Faithful followers of perfectly Priya know that, since receiving the watch, she has fallen in love with it and has made it a mainstay on the blog. 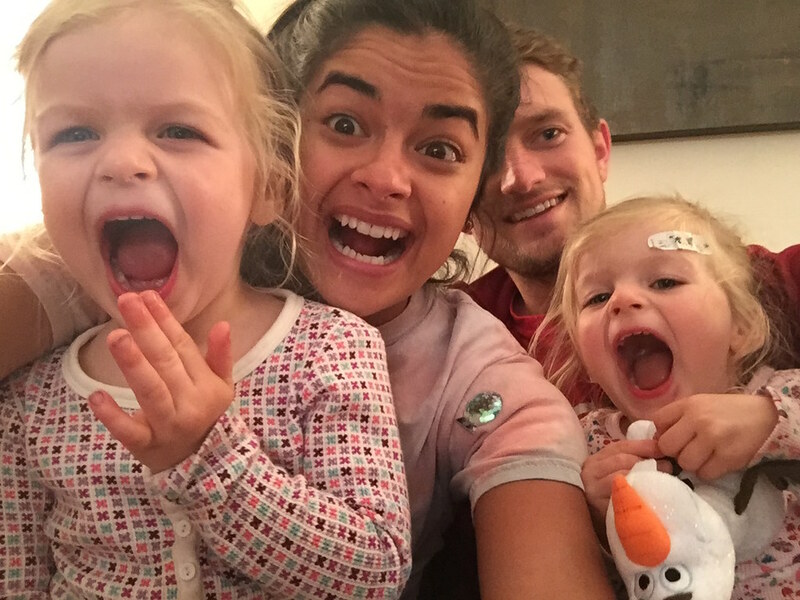 The folks at JORD were also nice enough to send Priya a men’s watch to be featured on her blog. Because I am Priya’s main squeeze, (and because I have a wrist upon which a watch may be worn,) I have been gifted the men’s watch, which is the subject of today’s post! It doesn’t take a watch fanatic to notice that this watch is something special. It's made of wood, which is a fact that alone makes it a unique timepiece. After wearing the watch for about a week, I can dismiss any concerns that one might have over its' durability or comfort. I have dropped it twice (I’m not careless, just a bit clumsy) and the watch has not a single scratch or dent. Although the watch is sturdy and durable, it is still surprisingly light weight and comfortable. The inside surface (the part that comes in contact with your skin) feels almost seamless. It doesn't pinch or rub awkwardly at all, and the clasp is easy to operate. This watch is simply a result of superior craftsmanship. In terms of the appearance, the watch is sleek and stylish. The dark wood is very handsome and rugged, but the pearl-colored woven carbon fiber gives it a classy and elegant touch. 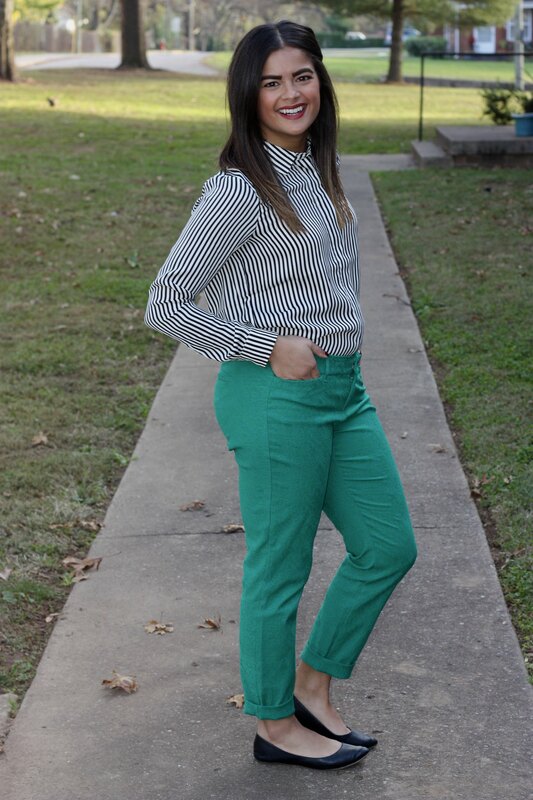 It's very versatile, in that it can be worn with so many different color combinations. 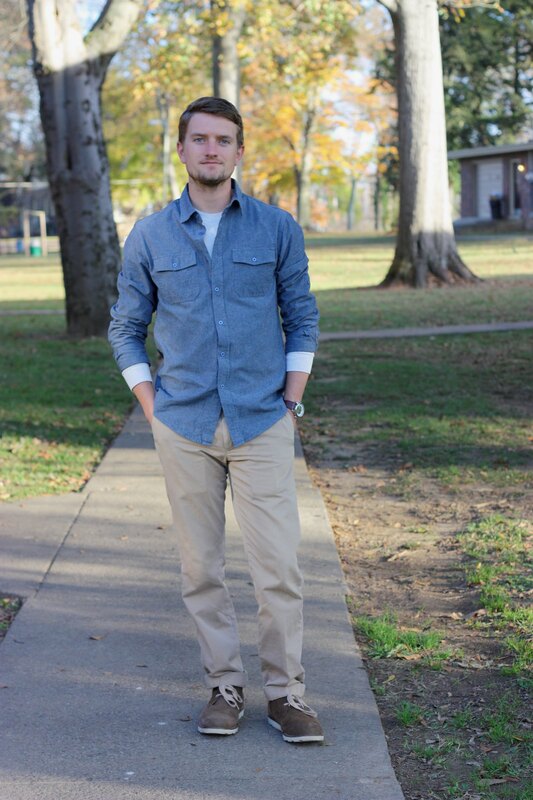 Personally, I love the way it looks with gray or navy, but I have also successfully paired it with a few plaid flannels button up shirts. The fashion possibilities with this watch are endless! If you're looking for a watch that is durable but elegant, stylish but unique, then look no further. At $149, it's very affordable, especially when compared to other high end brands. I have gotten more compliments on this watch in one week than I have gotten on any other item in my wardrobe, and that is absolutely no exaggeration. Watches make for a really great Christmas gift, and a watch this awesome is guaranteed to make your boyfriend so happy that he will sit quietly through every minute of the upcoming season of The Bachelor with you, so what are you waiting for! Check out JORD Wood Watches, and save your boyfriend a spot on the couch next to you as Ben Higgins picks his way through ABC’s most recent crop of hotties! Adorable, and unprompted, I swear! Thanks Huntee! 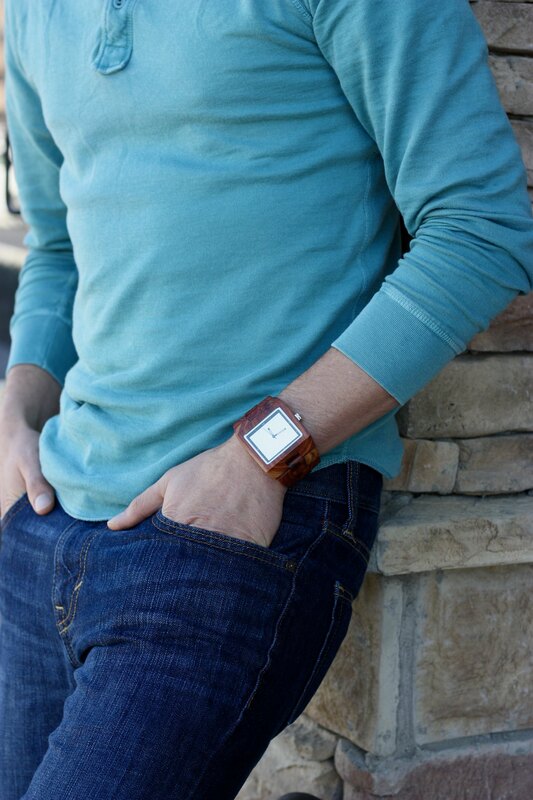 JORD Watches do make the perfect Christmas gift for that special guy in your life. They've been kind enough to give me a limited quantity of $25 giftcards for you guys! Order by 12/20 (in the US) to have your watch delivered before Christmas. Follow the link below to have your code emailed directly to you! Hunter & I were provided with the watch free of charge, but all opinions are OBVI our own! 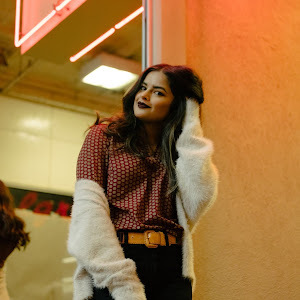 I was actually excited to put together a mini-Fall-capsule, featuring the best parts of Fall fashion: booties, sweaters, flannels, and leggings. Weather was slated to be bright but cool, and I knew there'd be some relaxed/athletic hanging around, as well as a night out, and church on Sunday. There was also a road-trip component of the trip to keep in mind! 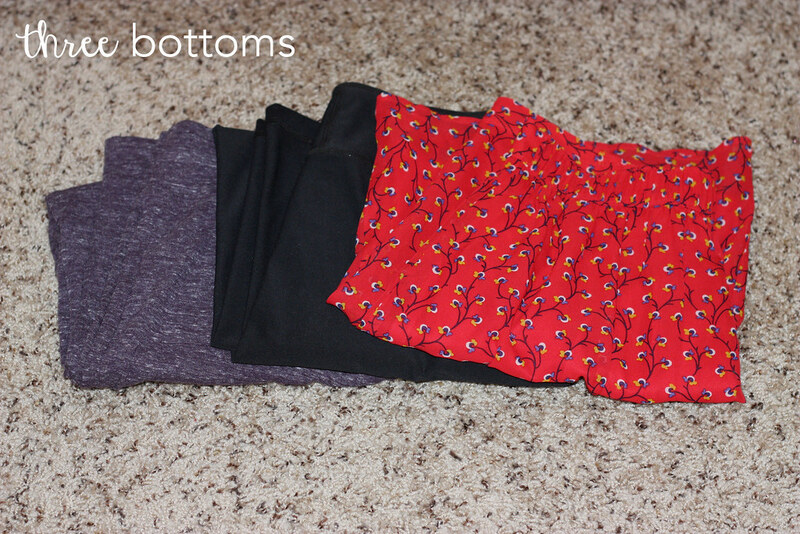 Guys, here's my dilemma right now: I'm having trouble wearing real pants. That aren't leggings. Recently I realized I was constantly schlepping around in my sweats from college; and wearing my Zella leggings too often, so I bought a FEW more pairs at Gap Factory. And now I'm really struggling to wear anything else. This purple pair ^ IS my life. The Zellas make for the most comfortable night out. And I brought a skirt because I realized I had a problem. Funny story about this leather jacket: I don't know where it came from. I mean, I got it from Carina, but that's all we really know. Someone left it in her car. 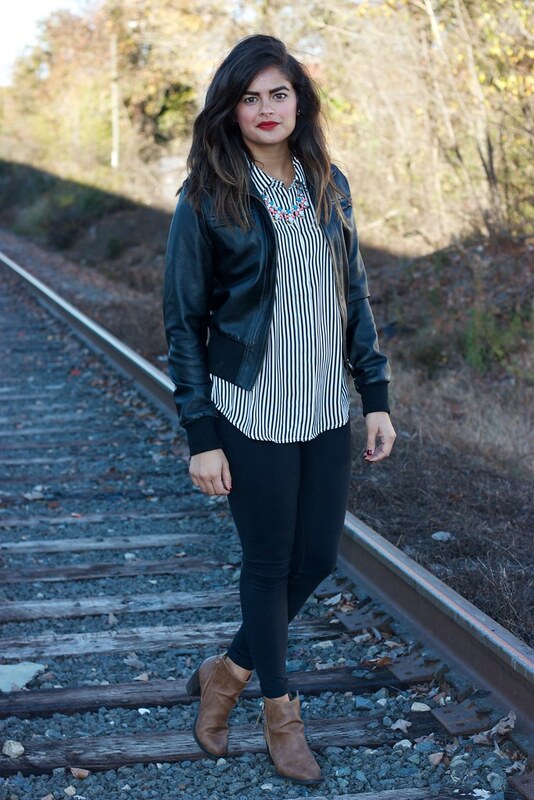 It's a great "bomber style" that I don't already have, and it layers so well over a silk blouse. 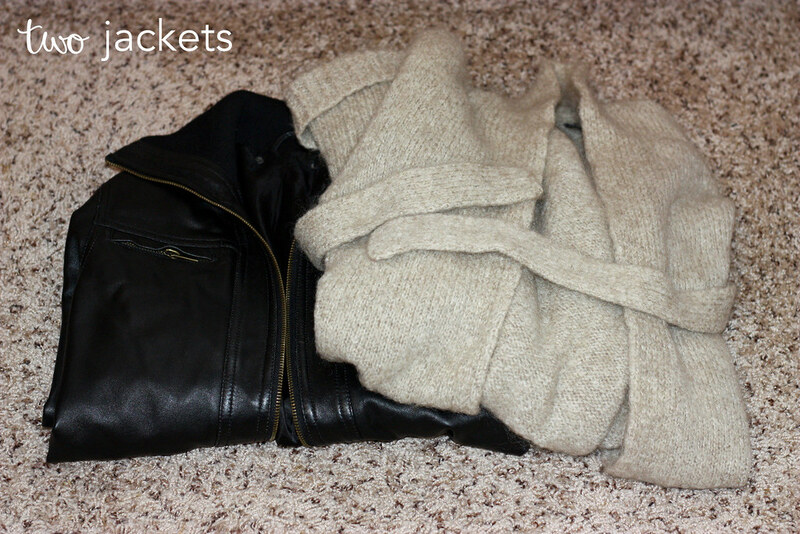 This wrap sweater was sent to me by the wonderful Lauren, and I lived in it all weekend! Maximum cozy. Not a fantastic show of accessories here, folks! Obviously I didn't put much thought into it. I wore the same earrings, simple necklace, and watch all weekend, and just used the statement necklace for our evening out. I was excited to try out this lip crayon because I had just received it in my Birchbox! 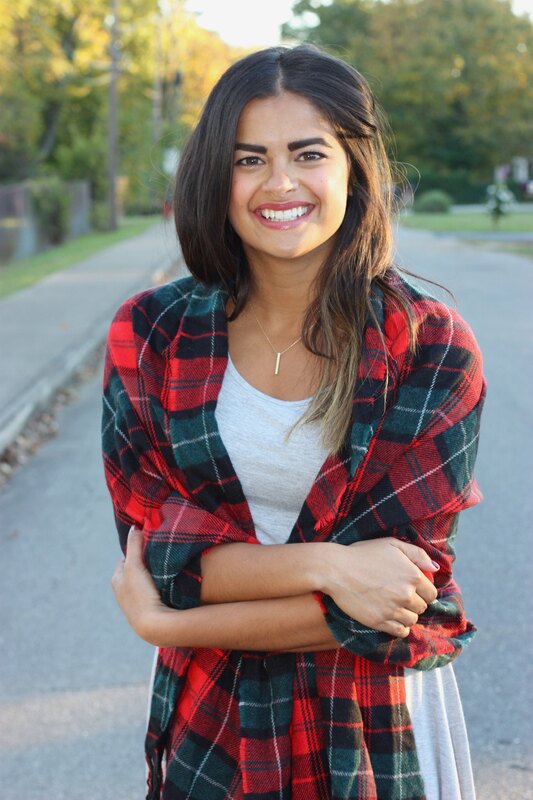 The color is a fantastic bright red, and it's super easy to apply (wearing it in this post.) I guess I never mentioned that I got this crossbody purse at the Kate Spade outlet recently. I love that it's neutral AND metallic. I've been using it pretty regularly. 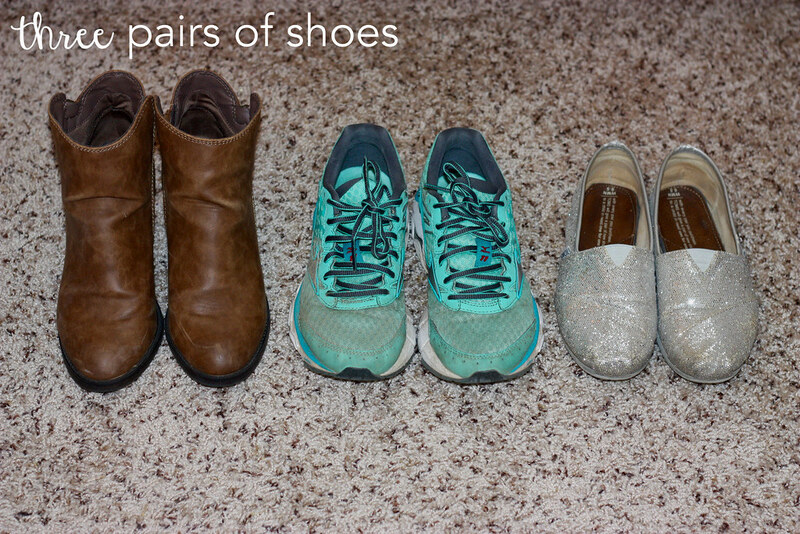 Shoes are always hard to narrow down. I planned to wear the booties pretty much the whole weekend (I've been living in them anyway, so, fine with me!) I never leave my house without trainers, and naturally we went on a run and kicked around on campus. 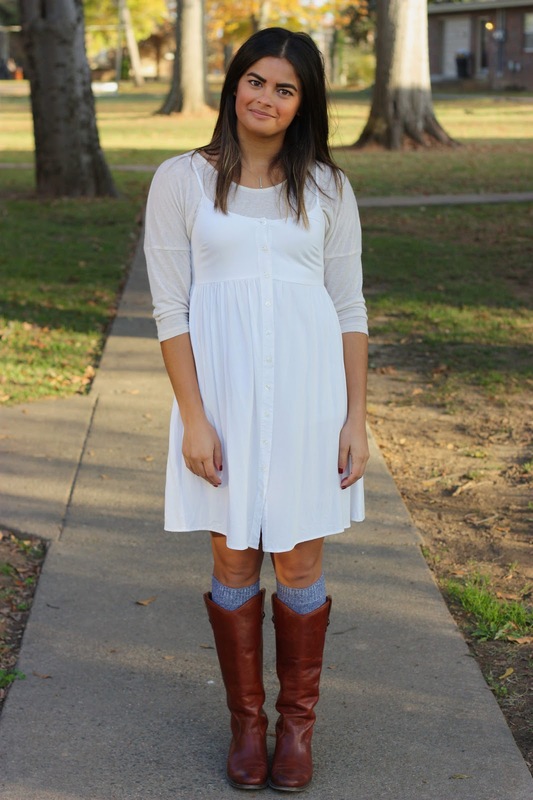 I wore the Toms (which I've had forever and have never made it on my blog!) for the trip there and back, and to the basketball game. In my packing tips post, I finally wrote down the why behind taking time to pack smart: to better enjoy my trips, instead of feeling anxious because I'm not prepared. 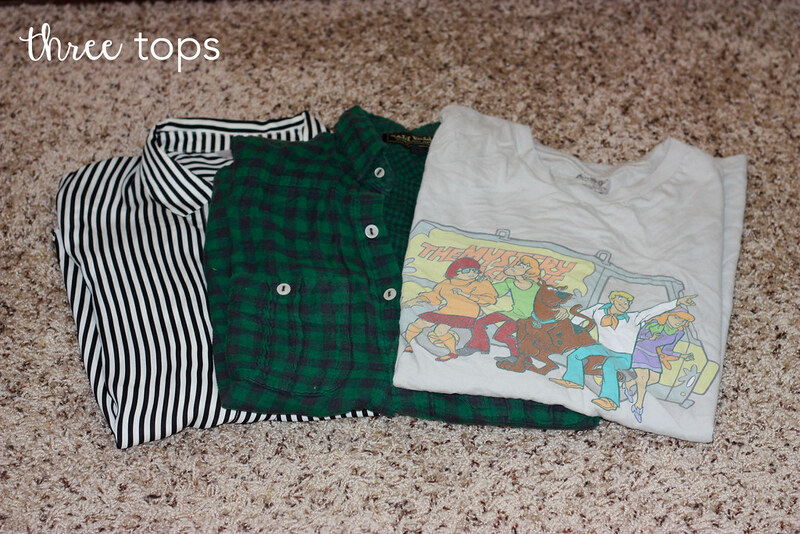 Did I like what I wore? I really did. 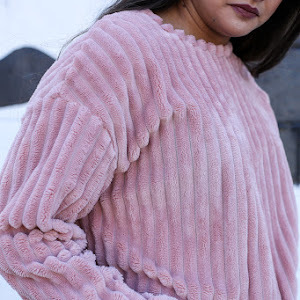 The wrap sweater over the skirt was an idea, and I loved how it turned out! Did I feel prepared? Yup. I borrowed a Davidson tee for the game, but otherwise had exactly what I needed. Did living out of a bag detract from the experience? Nope! Having what I needed helped us go go go! So then I say: hi-fives all around! This packing list was a success. What are your tips for packing successfully? Snapshots of Life, XII: The PSL Edition! How better to title my snapshots of life from this past Fall than the one thing that has become quintessentially Autumnal: the sweet, spicy, seasonal goodness of a pumpkin spice latte. This Fall was great. It's my favorite season. Beautiful (warm) weather persists in Nashville until well into November, but I wasn't complaining. Here's a round-up of random things that happened, that didn't warrant their own blog post, but I don't want to forget! I finally had a mini-high-school reunion with two friends that live in town. We all ran cross-country together! TKA! We had a ping-pong "Fall Classic" at work, and this was the trophy. Our annual haunted house for charity: Nightmare Daycare! I'm the scary school nurse, Art is a giant Elmo zombie. Two of my favorite little twins visited me at the office on Halloween and said "We'we dawgs!" This is Melissa, one of my friends from middle school who visited Nashville. 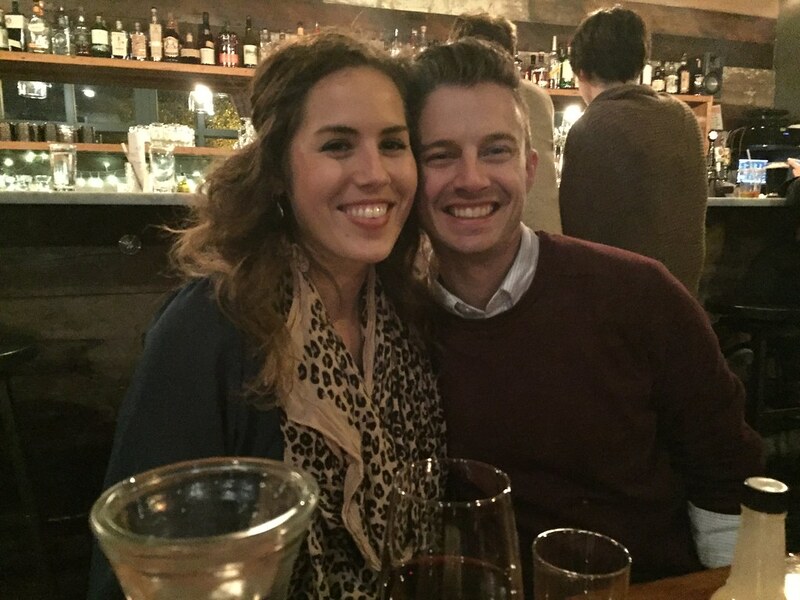 We had a great night out! SO fun seeing her. Naturally when Hunter and I visited Amir in NC, I bought horse tattoos at Cracker Barrel and made us all put one on. The only thing that REALLY matters right now is my brother Coren got engaged! Congrats Coren & Marisol!!! 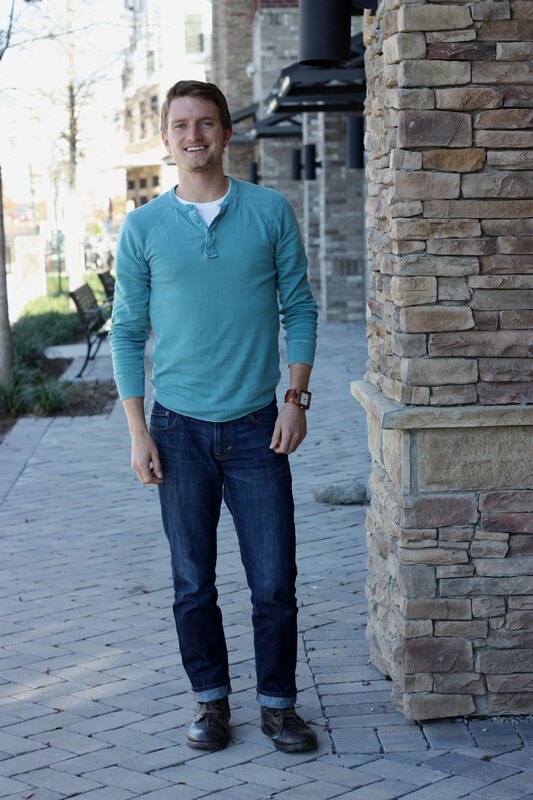 I originally wore this outfit out to dinner the other weekend with Amir and Hunter in Charlotte, NC. I've since worn it to work and out to meet my middle school friend, Melissa, who was visiting Nashville. I don't think I really mentioned in my other outfit post from this weekend trip how much I loved seeing my brother. He is a GEM. 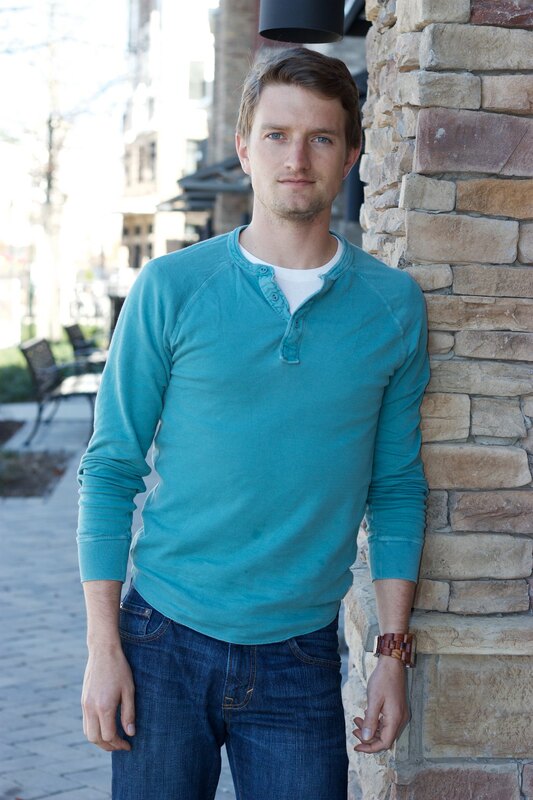 A gem who just ran a freaking fast 800m to walk on the track team for his final semester of college #sisterbrag. 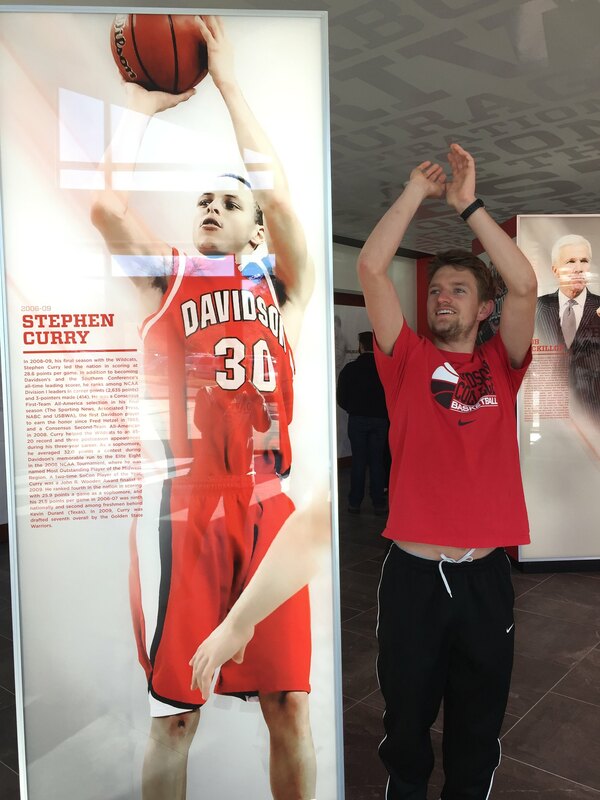 A couple more from that weekend: Steph Curry also went to Davidson which is pretty awesome, we ate dinner at Tupelo Honey (fantastic) and I hugged Amir as many times as I could. Please forgive the lighting. 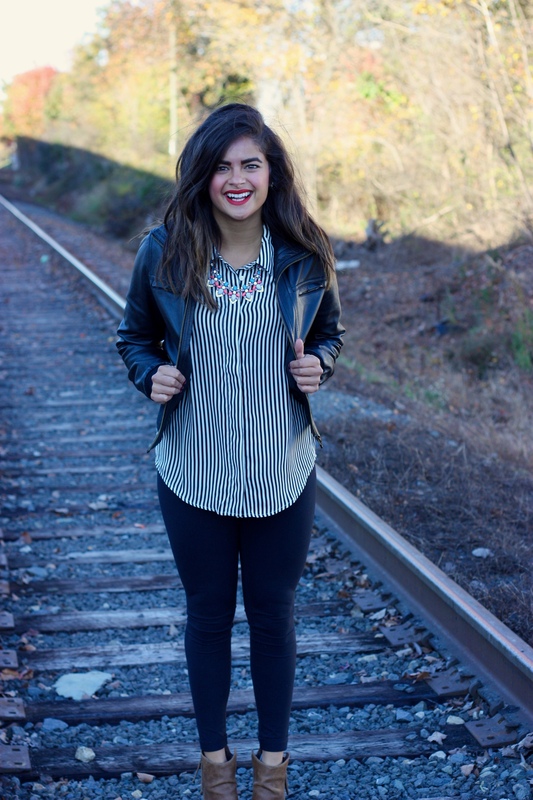 I should also note that I've always wanted to take outfit photos on train tracks (such a ridiculous blogger thing/rite of passage) well, I finally got my chance! To the right of these tracks was the shop I took my car to before we headed back to Nashville. Blogging is all about seizing opportunity! Hope you're doing well, friends. As usual, all I want to do is sleep forever, but life is good. 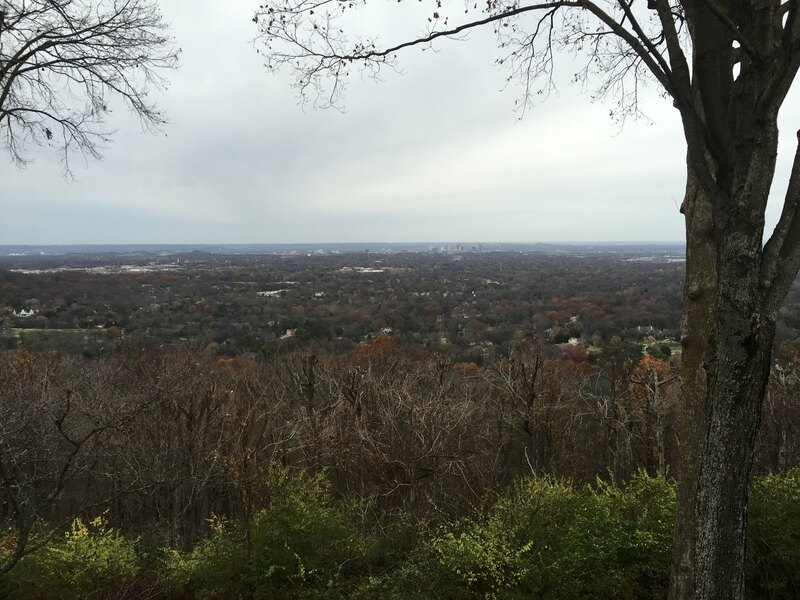 a fantastic view of Middle Tennessee! Like most, I'm in complete disbelief that the final month of 2015 is upon us. The holidays are here?! Our office holiday party is next Thursday, so I'm desperately trying to get in festive mode. If I'm being honest, I was feeling a little pre-anxiety about Christmas last week; but now that I've gotten some decor up, and started to chip away at gift-buying, I'm feeling a lot better. Plus, it's ridiculous to be stressed about the holidays. It's supposed to be the most wonderful time of the year! I made goals of what I would like to accomplish every month this year, waaaaay back in January. Some months have been better than others, but I'm proud at least that I've kept these goals in mind month-by-month. Check out my monthly diagnostic right here. - Practiced the one-word-motto of patience. MOSTLY while I was driving. I made a notable effort for this one. - I snuck in a dinner party on Sunday night- with a chili and game night at my apartment! - I am currently reading The Girl in the Spider's Web, but haven't made great progress. - I sent out several letters at the start of the month: notably to my Mummo to say, can't wait to see ya! Pretty good for sneaking those goals in there, especially for how nutso November turned out. This is a great time for me to introduce my final one-word-motto for the year, for December: joy! So fitting, and equally difficult, at this time of year, isn't it? Joy seems to stem from a deep-rooted sense of contentment, which, ironically, can be hard to find at this time of year. I got my shoes shined at the YMCA the other day, and the shoeshiner gave me some awesome advice: "I don't have bad days." It is a powerful thought, to consider YOU have the ability to control your own happiness, despite circumstances. A quick lesson on happiness vs. joy: the biggest difference is that happiness is caused by external happenings, while joy is lasting and based on internal perspective. I found this handy chart that helped me understand this even better. How do you practice joy during the holiday season? I would love to hear your insight, in hopes that this will be my best and most successful one-word-motto yet! I anticipate linking this up with Nicole, but stay tuned. Hi everyone! Happy (albeit, belated) Thanksgiving! I hope yours was cozy and delicious. I stuck around town for this extra long weekend; and though I missed my crazy family on Thursday, it's been nice just hanging around and not traveling. This outfit proved to be perfect for Sunday- visiting Amir's church, and brunch at Cracker Barrel before hitting the road back to Nashville. I wanted something that would easily transition to a comfy road-trip outfit, and it worked: I just swapped the skirt for my Zella leggings and changed shoes, easy! We had a really lovely time with Amir in NC. It was so good seeing him, if only just to see some family around Thanksgiving time! I can't believe he's nearing his last semester of college. I remember dropping him off with my mom like it was yesterday! 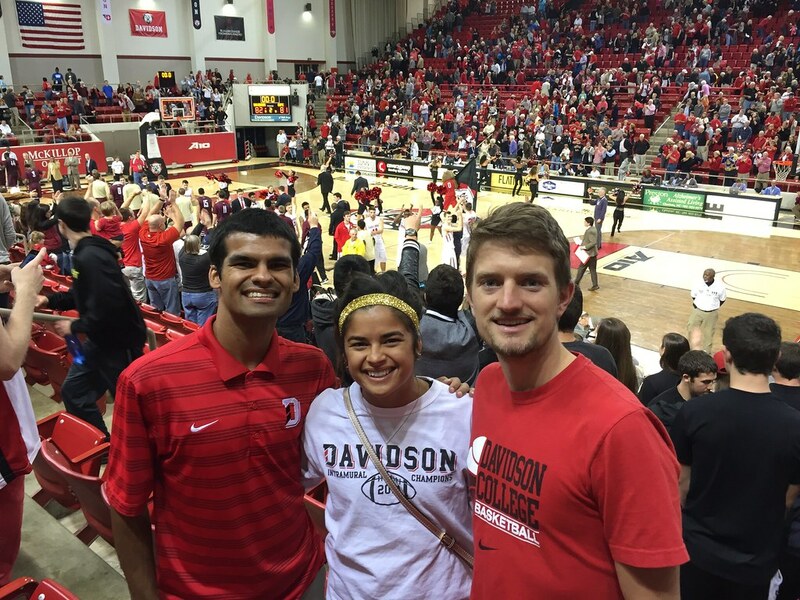 One thing we did was go to a Davidson basketball game (better late than never!) This picture is right after they beat College of Charleston in a super exciting game. W-I-L-D-C-A-T-S! Hope y'all are are in the middle of a superb long weekend- soak up every minute of that vacation! Thanks for reading! 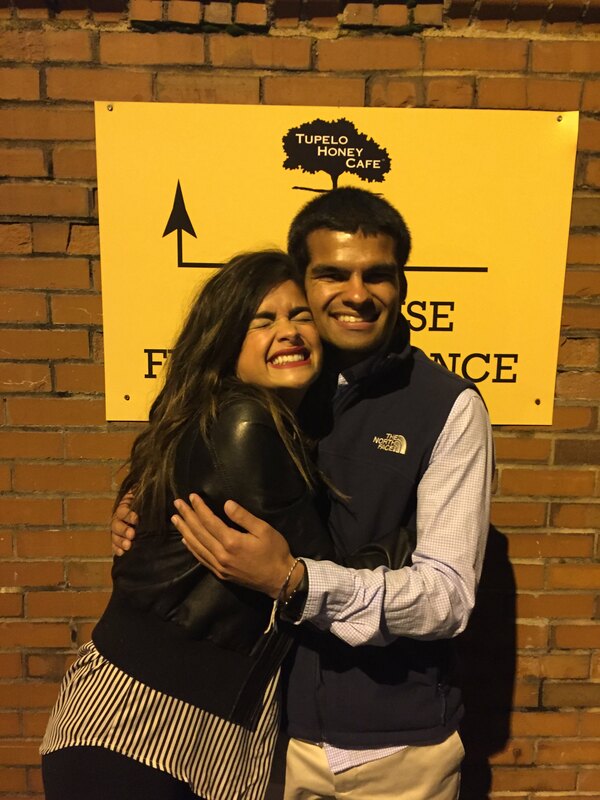 So here's something I've never written about on perfectly Priya before: being insecure about my teeth! While it would be nice to look like Gigi Hadid, I am, for the most part, comfortable with being me. That being said, though almost all my siblings had braces at some point, my parents don't love me enough my teeth were always "good enough" to not be in dire need. So I never got 'em, the result being a really crowded mouth, that could also benefit from some whitening. 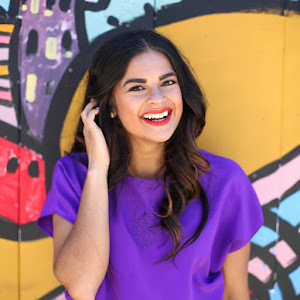 When SmileBrilliant reached out to me recently about trying their at home whitening system, I happily agreed, because who doesn't want whiter teeth?? I've only experiemented with teeth whitening very minimally (I mean like, Target brand white strips in college that did nothing) so I was very curious to see how the overall process and result worked out. The process begins with creating your own custom trays. SmileBrilliant provides the supplies, you simply create a mold, and mail it back. I had no idea what I was doing, but found the process to be well-explained and relatively simple. So far, I have done four treatments, mostly in the evenings, while I do stuff around the house. You can leave the trays on as long as you want, though they recommend starting at about 15 minutes and going up from there. So far, I've still only gone up to about 30 minutes- but I've had positive results, without any issues, so I anticipate my next sessions to be significantly longer. 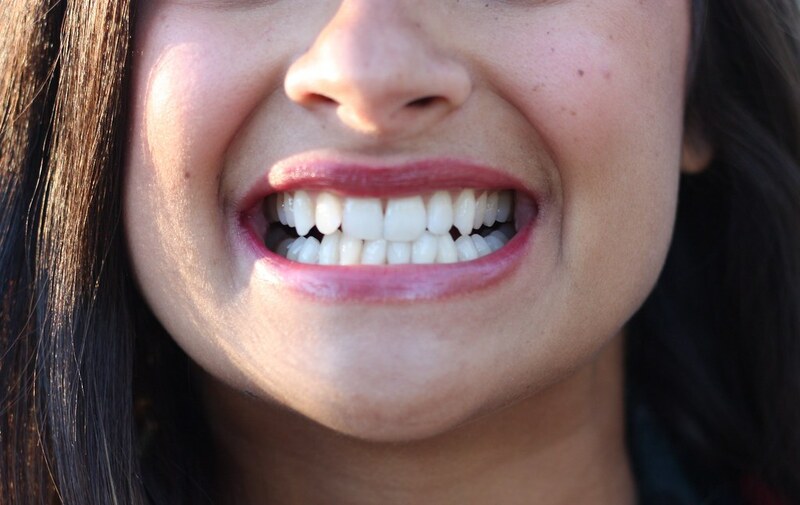 My biggest hesitation in whitening was a couple areas of sensitivity (in addition to crowded teeth, I have exposed roots on molars on both sides- a really winning combo.) The great thing is that SmileBrilliant supplies desensitizing gel that you use after whitening, for this specific reason. After application, you don't rinse or wipe it off, so it keeps working...forever? That's the kind of desenstizing help I need with my teeth! I really haven't noticed discomfort on my sensitive areas after four treatments. I am really pleased that even after the first two treatments I've noticed a difference in my smile! I plan to do a more comprehensive review (with pros & cons, and a decision if I would actually buy this myself) when I finish the process completely, with a stunning before and after photo (the best part of anything.) But here's my before photo, at least! Thanks to SmileBrilliant for providing me with a whitening kit to review! All opinions are my own. If you've had an experience with at home (or otherwise) teeth whitening, I would love to hear about! Especially if you've tried SmileBrilliant before, tips & tricks appreciated! and a video about how the SmileBrilliant process works here. September // August // July // June // May // April // March // February // January // December // November. Avenè mask- Not my favorite, as far as face masks go. I like masks that harden or have some texture to them; this felt like lotion that disappeared without a noticeable difference. 12 Benefits Hair Treatment- Guys, I actually blow-dried and styled my hair (and therefore sampled this product correctly!) I was nervous upon application, because it made my wet hair feel mega greasy; however, I'm pleased to report that after I straightened it, I could absolutely feel a glossy difference I like that this product is called "12 Benefit" - it covers all good hair things, and can be used as a multi-purpose aide. Will definitely use this again! Eyeko mascara- ALWAYS a standout to receive in a sub, because whose makeup routine doesn't include mascara? This didn't necessarily wow me, but works just fine. Smashbox primer- This stuff has been described to me as "liquid gold" by beauty friends alike. So I tried it again, even though I recieved it a few months ago and didn't love it. I used it for Andrea's wedding. I didn't like the texture, and found that it applied/rubbed off almost like dead skin (I know that's gross, sorry, I don't know how else to describe that!) I want to love it! But I don't. Someone send help! Am I using it wrong? It’s not that I don’t love pink or supporting breast cancer- it’s just that compared to amazing boxes past, this one is just whatever. Beauty Without Cruelty lotion- A good sized lotion that’s not too greasy; and I actually enjoy that it’s unscented. I stuck this in my car and put it on during my drive to work every morning, #winterskin. theBalm Meet Matt(e) Hughes Liquid Lipstick- I’m always excited to get a theBalm product; the shades, products, and branding/packaging are always spot on! This is a pink matte lipgloss/stick. The color is great, and the matte effect is cool, but if ANYONE knows how to keep matte lip stuff from getting weird after a re-apply, please share! Touch in Sol Gel Brow Pencil in Mink Wink- I was so ready to slam this product after trying it once, but I gave it another go. Cons- because it’s “gel”, it’s more glossy and less pigmented than a normal pencil. It also wear down SO FAST (I’m talking re-sharpening between brows.) Pros- my brows actually look more natural with this (also has to do with the shade) and it lasts longer than my normal routine! Also the spoolie is great bonus. My brows be unruly. MicaBeauty Cream Eyeshadow in Bronze- A pretty shade, for sure, but it may be too orange-y. I generally like powdered shadow over crème, in terms of application, staying power, everything really. 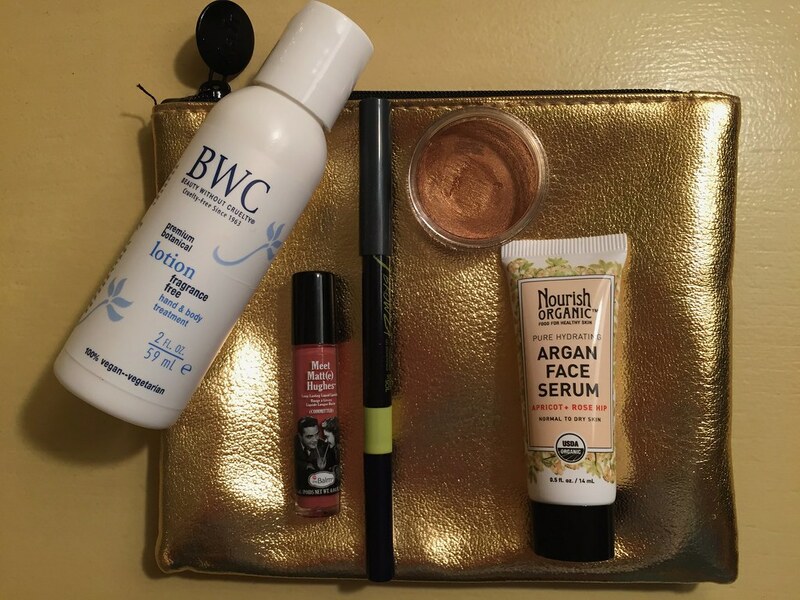 Nourish Organic Argan Face Serum- My nighttime beauty routine pretty much solely consists of applying a serum before bed (after washing or whatever.) This was hard to put on, I worried about getting oil all over my pillowcases, hair, etc, and I woke up feeling oily. NOT cute. I like the principle of what they’re trying to do here, but I don’t think I’ll use this again. - already seeing the bottom of this NYX eyeshadow palette. It's been a go-to since I got it! - This NYX balm lives in my pencil tin at work, and is the perfect subtle color on the go! - I've worn this Liptini lipstick several times, even choosing it for Andrea's wedding. If that doesn't make it an MVP, I don't know what would! - Just threw this Klorane dry shampoo away after finishing it up. Perfect for traveling, loved trying a tinted version. And that's it, for now! 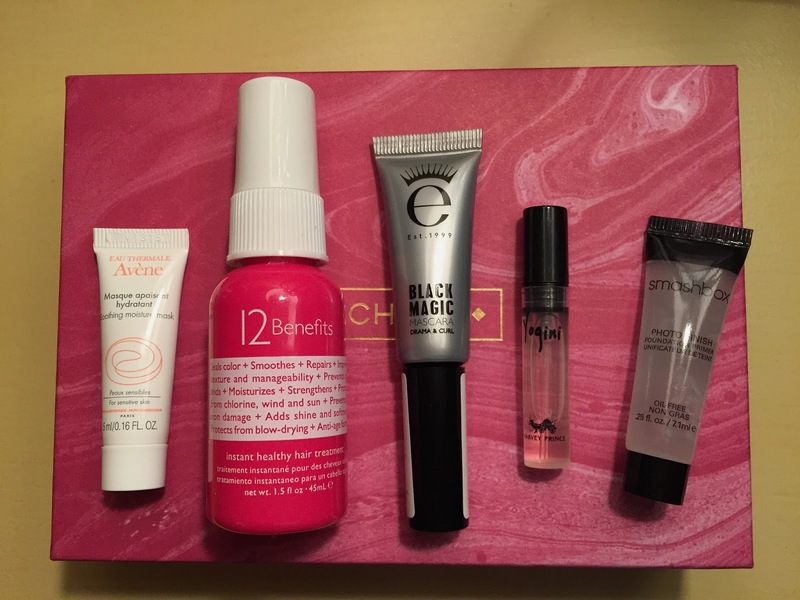 Thanks for following along with my ipsy vs. Birchbox series. How'd you do with your subscription services this month? Anyone try one of my products with a different result? HI! These are the first moments I've had this week (Wednesday morning) to get this post together (Monday's outfit + last weekend's update.) So I guess things have been pretty busy around here. How's everyone doing out in the blogosphere and otherwise? Big plans for next week?? I wore this outfit Monday to work, and then to a surprise party for Chony, who turned 11. She got a bunch of makeup-type stuff and was gleeful about it- remember being that way when you were 11? 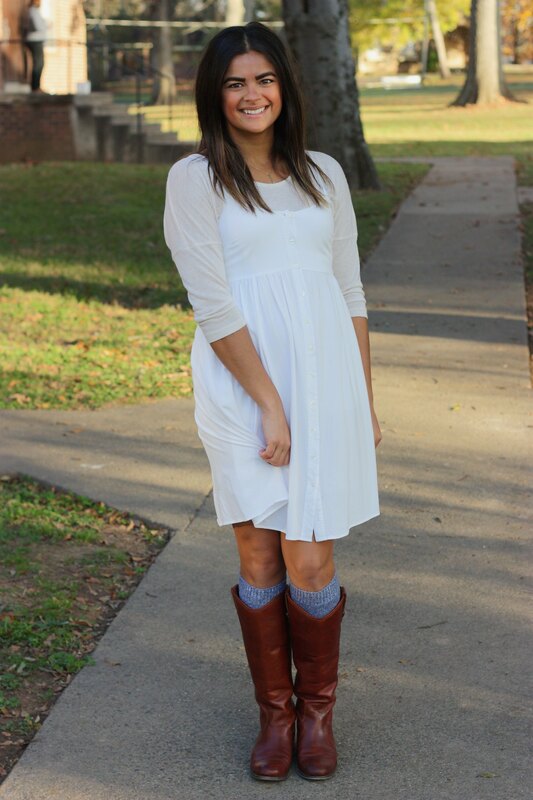 I know I just wore this dress and said it was the last time for the season. Then I remembered I've been wanting to wear it with a sweater, "jumper-style." I know I've seen a look like this on a blog or somewhere and loved it. Normally, I would say the dress & sweater are too close but not exact in color, but I dunno, aren't colorblocked neutrals in or something? I liked it. But now I've really put this dress away with my Summer clothes, so now I promise you won't see it until next year! 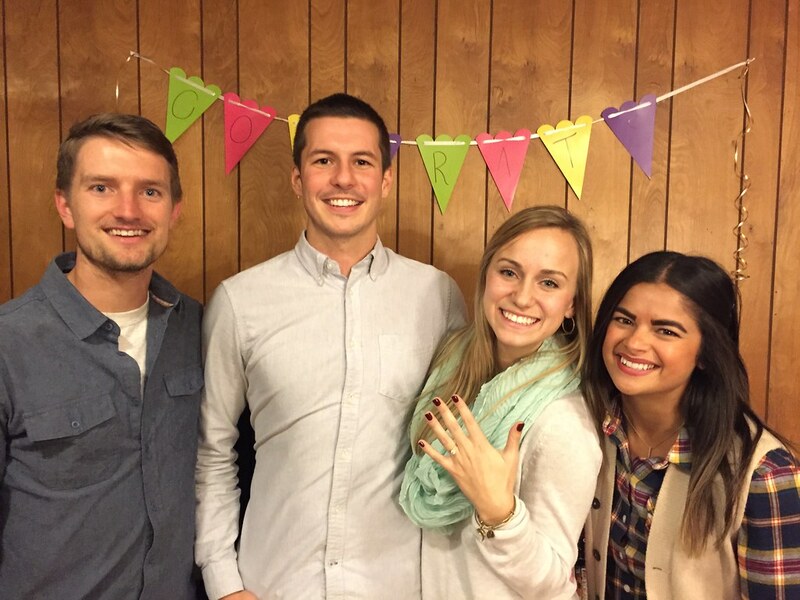 Sunday: Katie & Matt got engaged! CONGRATS you two!! I completely set them up at this wedding. That sums up things for now, and I would love to blog again soon. But no promises. I'll do my best to keep this post from becoming a novel. Notes on this outfit: A couple weeks ago, I wrote a post about how, ironically, I struggle to style the basic knit dresses I have in my closet. 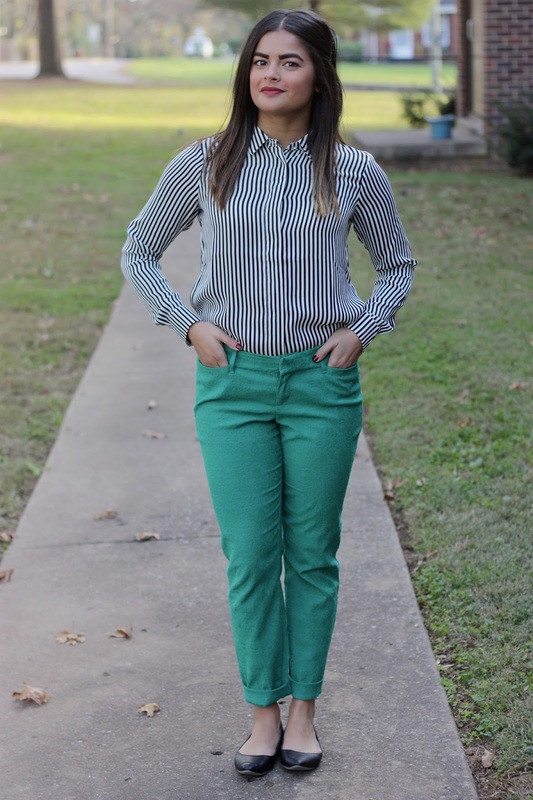 This is another one of those Old Navy gems that doesn't take much to be perfect. 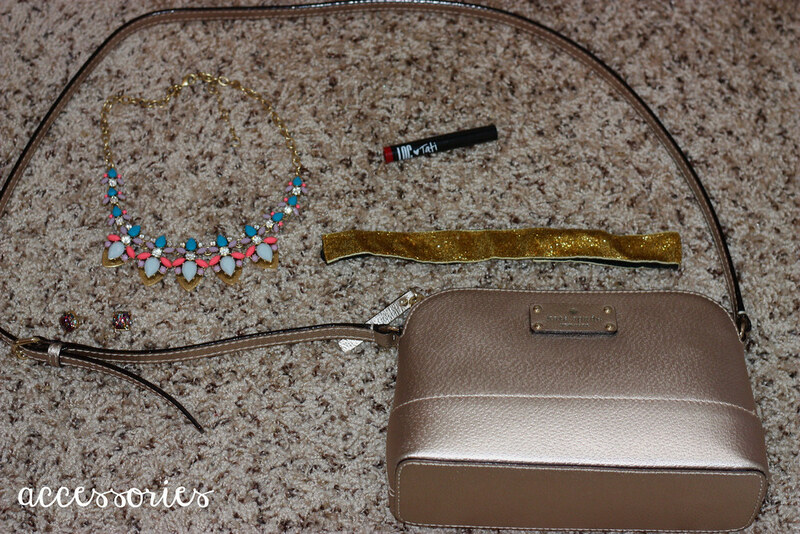 I think I've decided MY foolproof formula for a simple dress is a combination of all my favorite accessories. 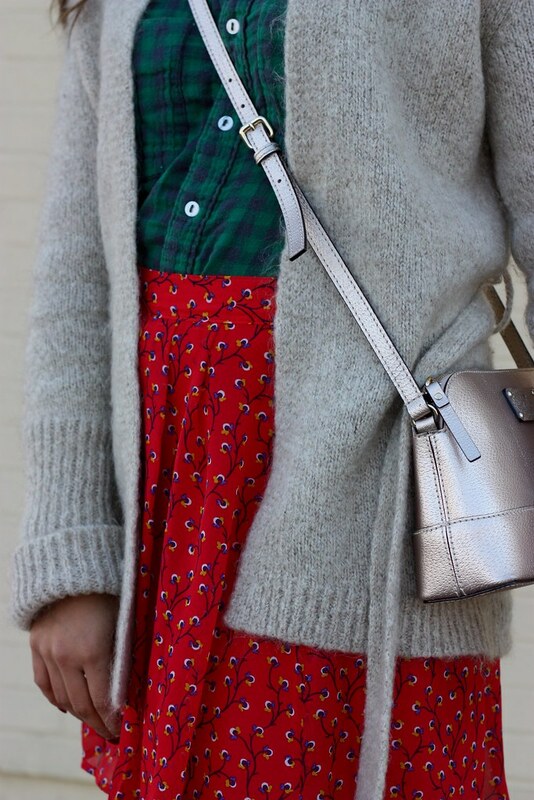 I wore this outfit last week, but I'm also wearing this scarf today! I saw a co-worker of mine recently wearing a big scarf like this, "shawl style." Like carrying a throw blanket around in the office. I'm into it! 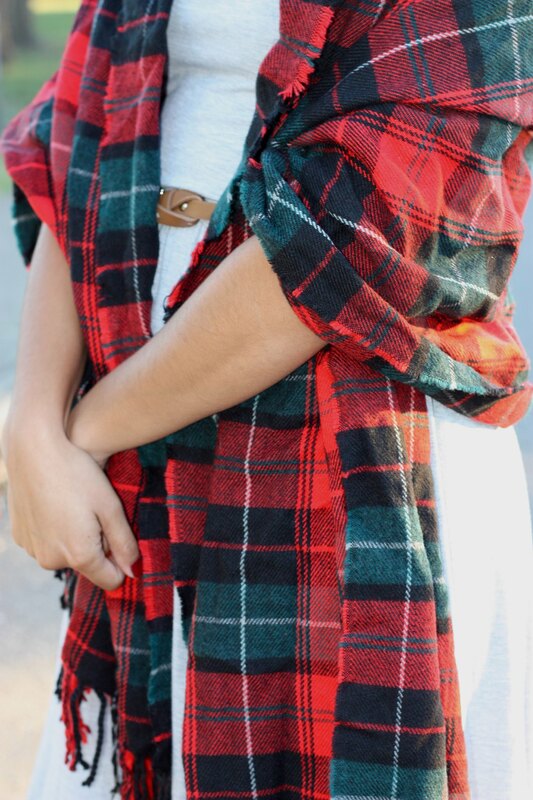 We launched our holiday party at the office today, and we're going with a plaid motif- perfect! 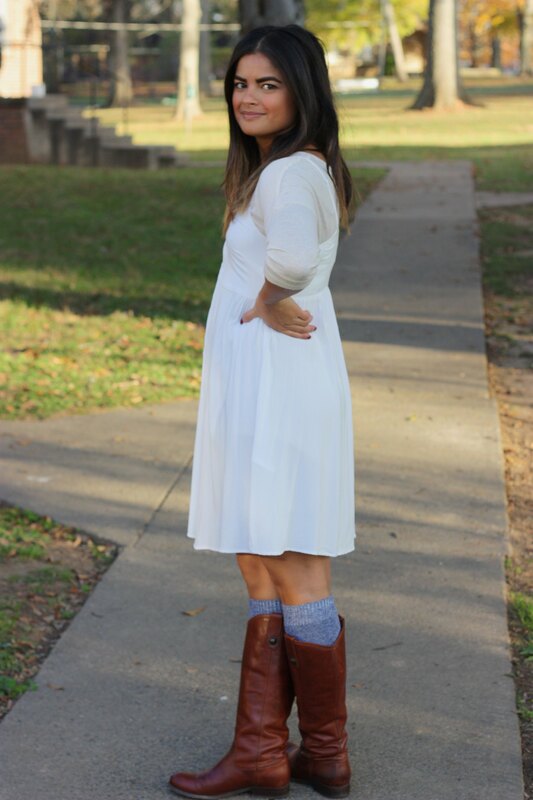 I can't believe this is the first time I'm wearing my clogs with socks on the blog. Basically since Katie gifted me these last year, I've been pairing the two together. These socks + clogs just FEELS right! Also, what didn't make this post: the test photo of Hunter laughing at me, to my face, as he noticed I was wearing socks with clogs. I've been alternating between dark red & dark purple nail polish for the last couple months. The polish I'm wearing above is the Pacifica "7 Free" Polish in Bianca. I think I got this in my first ipsy ever? Really great nail polish in the most perfect dark red. Highly recommend! - last week was THE CRAZIEST work week of my life, & I loved it! Still working my patootie off, that's why I've been AWOL. 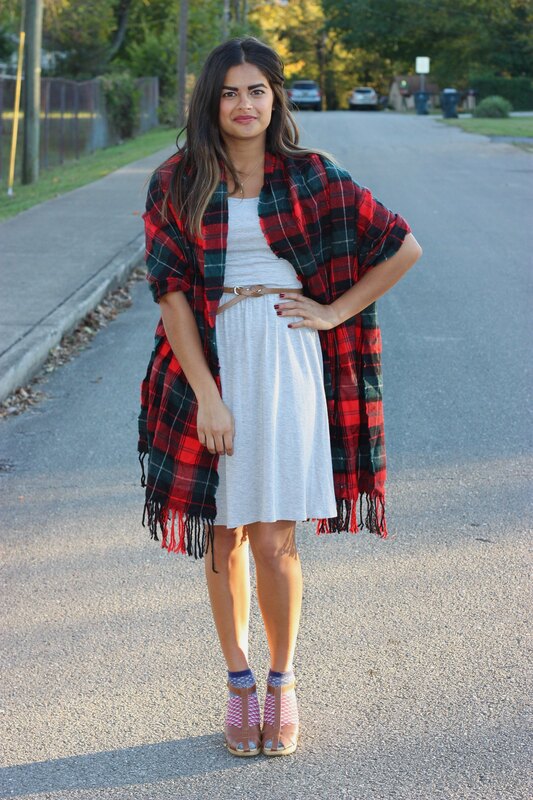 - I don't even remember how to wear blanket scarves anymore. 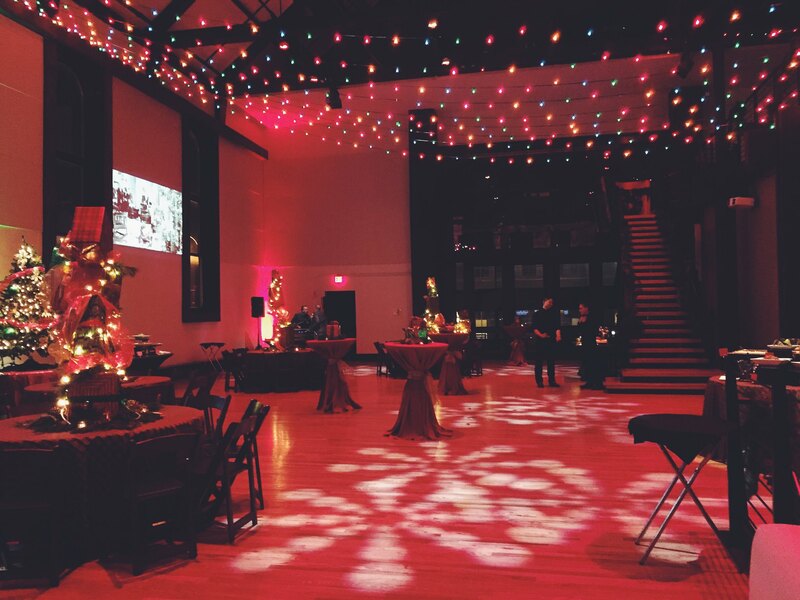 - Our company holiday party is one month from TOMORROW. - I was so so lazy this weekend after last week. I'm the kind of person who gets anxious relaxing, but it was good. - If you need me tonight, I'll be cleaning my apartment. And really the last thing (promise!) 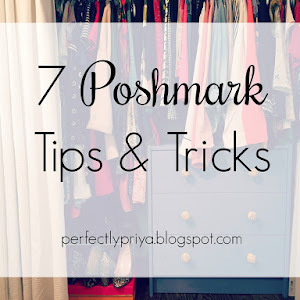 I finally got my Poshmark account up and going. 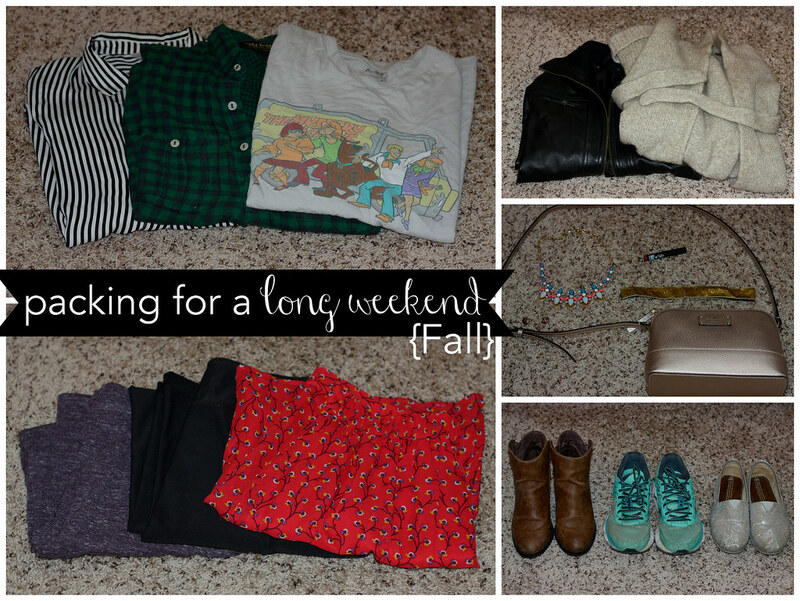 Thirteen items and counting, and I'll be adding as soon as I take some pictures. Check out my closet!